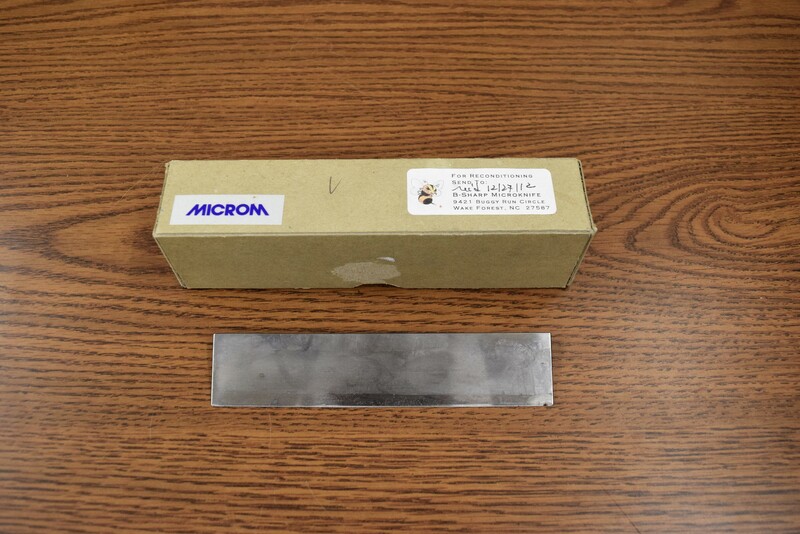 Leica Rotary Microtome Tissue Knife Blade 150mm Profile C . New Life Scientific, Inc.
Used microtome tissue knife blade. The blade itself is in good condition, but it will need to be sharpened. Used in a Leica RM2155 rotary microtome equipment. Our in-house technicians did a visual inspection of the device, powered it on and observed that it does chill.